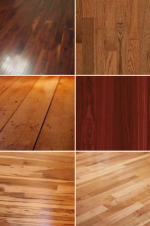 The final finish on your floor is as important as the choice of wood itself. A range of bespoke finishes applied in the factory are available. Oil – we use Treatex Hardwax Traditional Oil, available in clear or a choice of colour. This gives a traditional satin finish suitable for all flooring applications and easy to care for and maintain. Lacquer – we use Bona flooring finishes. Hardwearing and natural looking finish suitable for all wood species. Traditional Floor Treatments – we work regularly in listed & protected buildings where traditional floor finishes such as wax and shellac are required. We are happy to discuss any client requirements should you require this type of finish. We use the finest finishing materials to give you the effect you want that will last the longest time. Couple that with expert after care advice and you will get the floor of your dreams which will keep you happy forever.